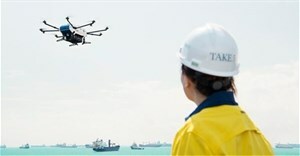 Airbus and Wilhelmsen Ships Services signed an agreement in June 2018 to drive the development of an end-to-end unmanned aircraft system for safe shore-to-ship deliveries. The collaboration marries Airbus’ extensive expertise in aeronautical vertical lift solutions and Wilhelmsen’s wealth of experience in ship agency services. 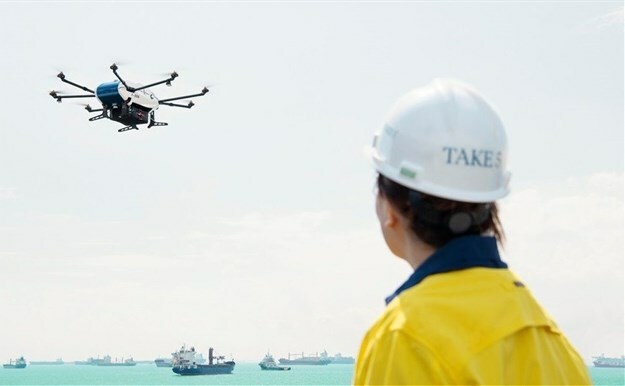 A landing platform and control centre were set up at the Marina South Pier in November 2018, through the facilitation of the Maritime and Port Authority of Singapore. The maritime agency also designated anchorages for vessels to anchor off the pier for the trials, while the Civil Aviation Authority of Singapore worked with Airbus and Wilhelmsen to ensure safety of the trials.